Welcome to MTGFXs Mobile Wallpapers. We've been making wallpapers, icons, docks and more for Android mobile phones for over one year! This site is absolutely free and the wallpapers here are yours to use. Please give me credit if sharing a wallpaper in forums or social networks. Equally, if you are an artist and see one of my walls where I used your work please let me know so I can credit you. Here you will find several hundred wallpapers all handcrafted, from my early work (which is rough) to my current work (which shows growth). Everything is free for you to use on a personal level, please let me know if you would like to incorporate a wallpaper into your own works (ROMS, themes other walls etc.). If you feel my work is worthy of a donation I do accept them via paypal, please hit the link below to paypal. Enjoy the site and hope I am creating things you all enjoy and use on a daily basis. 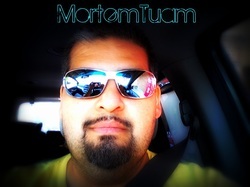 You can find me on xda username Mortem Tuam and on Google Plus. Create a website with Weebly!